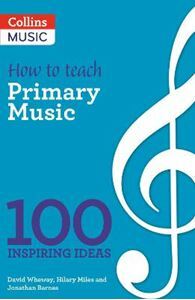 Quick overview How to teach Primary Music presents 100 creative ideas to support anyone teaching music in primary schools. The ideas are inclusive, easy to implement and tackle everything from singing, creating tunes and using music technology through to classroom management, working with music hubs and putting on a performance. Music doesn't have to be scary, and there are lots of ways to use music throughout the whole school, in and outside of the curriculum, and at different times of the year. This practical collection of 100 dip-in ideas and activities goes across the spectrum, with ideas that teachers can take on board easily. Whatever your prior musical experience, you'll find fresh and inspiring ways to invigorate music in your school.